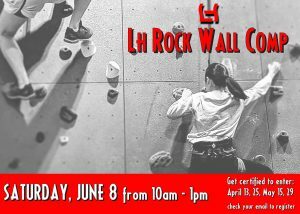 We are holding a competition for all of our Rock Climbing enthusiasts at Liberty Harbor! On June 8th we will have fun while competing! Register to enter the competition, and use the next two months to practice the routes! This competition is free to enter. You MUST be auto-belay certified for the wall to enter the competition. To get belay certified, you must come to one of our certification classes. If you haven’t gotten certified yet, sign up now to get practicing!